What a sad story...and a really quite disturbing final portrait. She almost looks as though she wants to disappear into the background. I always wondered about Sophie and Alice's lives, so thank you for telling me. Haunting. Thanks for your comments. I wish this painting was in a public collection so we could see her more often but possibly for the good of our sanity it is better than she is rationed. Can you imagine the piles of bodies in front of her where people have just starved to death because they were unable to stop gazing on her? Very interesting and sad post, I didn't know much about Sophia. And I hadn't heard a film was being made about Effie, looking forward to checking that out! So sad, so fresh, the days that are no more." Thank you again for a wonderful and moving post. BTW I have finally got around to putting a review of "A Curl..." on amazon.co.uk. I do like this line from the summary "in a world where truth is reliant on who is painting the picture" - sums it up really! Wonderful post! Woman really had it tough back then didn't they! 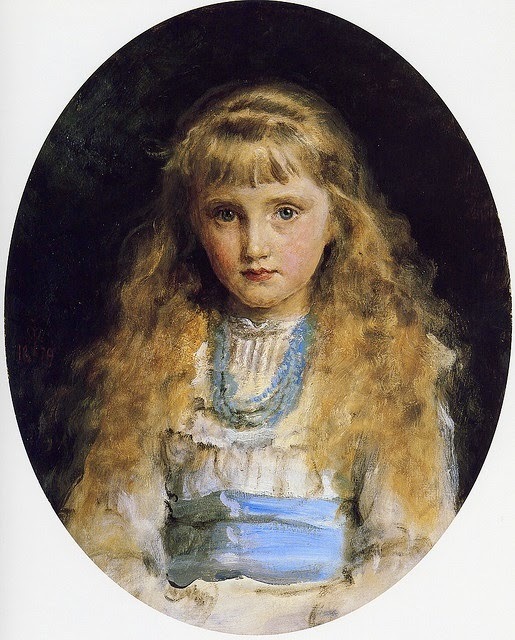 Is the Portrait of a Girl (1857) John Everett Millais actually on display currently? Stunning picture! It might have been donated (or at least on loan?) 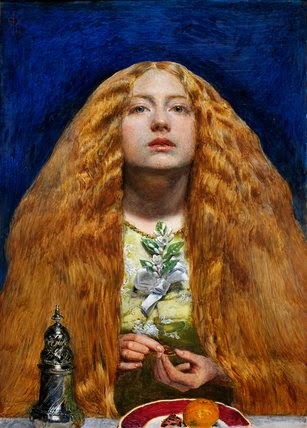 because I saw it in person today at the Legion of Honor in San Francisco, displayed next to the portrait of Alice Gray. They really made an impression on me, which got me googling for more information which led me here! 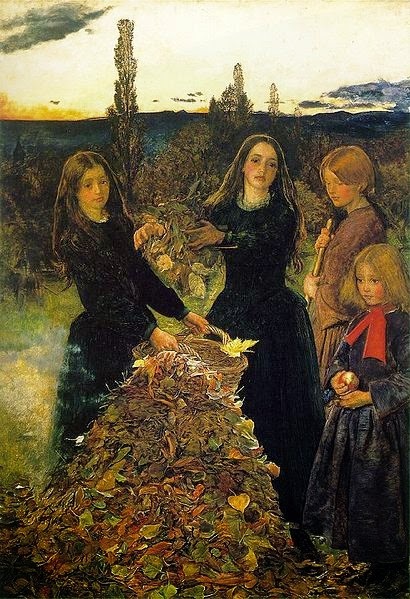 I think I saw the portrait in the NPG's exhibition of Millais' work a few years back and I wish I owned it as it is such a powerful work. Thank you both for your comments and thanks so much for buying my books! 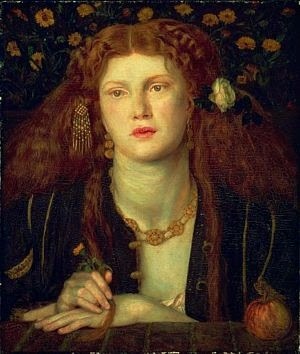 I stood in front of Sophy in that exhibition, and I broke down in front of ladies from the shires. But you knew that. I had never seen it before, but I have it framed on the wall in front of me right now. For me, the whole PRB movement was worth it, just for that one piece. Sorry, lads. As for Tadema and 'The Roses of Heliogabalus' ....... looks nice on the lid of a box of chocolates, matey boy. Go look at 'Autumn'. 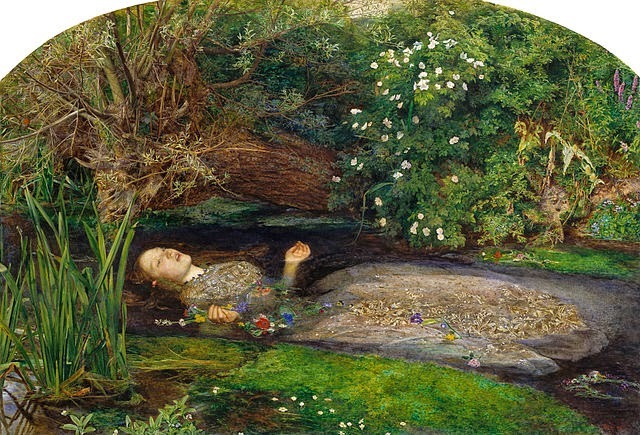 Incidentally, kudos for finding an image of that painting of Sophy just before her death. It took me months to find that, and it devastated me. Life, eh? Can't live with it, can't live without it. 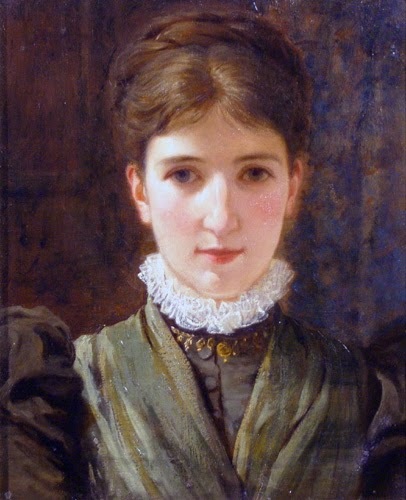 I wish I could work out exactly what it is about that young portrait of her that makes people react so strongly. It might be a combination of it being lesser known but astonishingly good and modern, but it just slaughters people. Blimey, if you could bottle that, you'd make a fortune. OK, I'm going to share another instance of the impact of the painting. 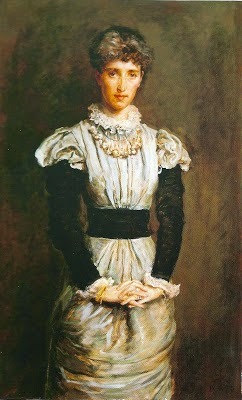 The Christmas before last I was given a copy of 'John Everett Millais' by Rosenfeld, which has on its dust cover ... you guessed it. I hadn't got it half unwrapped before the tears. That's water ones, not tears in the paper ..... they had to force Buck's Fizz between m'lips. Incidentally, I am a male in my sixties, and I am not Kate Bush, that's just my icon on here, for reasons which will not become clear. That's an entirely appropriate reaction, in my opinion. Anyway keep up with the blog. I know someone (aged 12) who looks almost exactly like Sophy in the most famous picture of her. We blended photos of her and the portrait of Sophy and the features lined up perfectly (although Sophy had longer hair). I hope she doesn't end up like Sophy. It's such a tragic story for someone so beautiful and full of potential to die of a mental illness. I really love this page, it gave me a fresh look at the portrait I love so much.